​Chelsea manager Maurizio Sarri has claimed that Manchester City have one of the world's best midfields, as his side prepare to face the Premier League champions on Sunday afternoon. As things stand, City are currently three points behind league leaders Liverpool, and can move top of the table on goal difference with a win over the Blues. Chelsea, while they look to be out of the title race, are still battling for Champions League qualification, and victory at the Etihad Stadium would help them make up precious ground on Manchester United and Spurs. 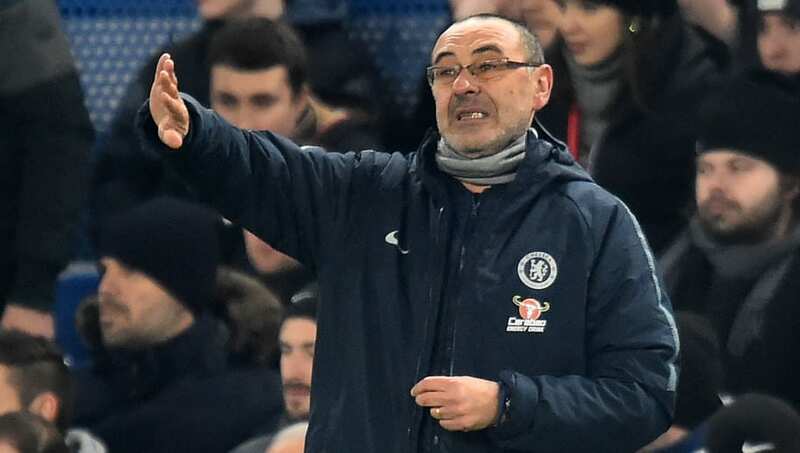 Speaking ahead of the ​big match, via the Daily Mail, Sarri praised the quality of the opposition midfield, and contended: "You know very well that the midfield of ​Manchester City is one of the best in the world. Not only Fernandinho but also ​Kevin De Bruyne, Bernardo Silva and David Silva. Technically, they are the best midfield in Europe." The 60-year-old also addressed concerns that City, like countless other sides this season, could shut down ​Chelsea's game plan by targeting their midfield linchpin Jorginho. Sarri said: "They (City) are able to play if you stop Fernandinho and we are also able to play if you stop Jorginho. We have options. So maybe they have more options than us. "I remember that in Naples (managing ​Napoli) it wasn’t a big problem if there was a man on Jorginho, so I hope it will be the same here." Meanwhile, Sarri has ​talk​ed up the impact of new loan signing Gonzalo Higuaín. The Argentina international, owned by ​Juventus, cut short a temporary spell with AC Milan to join the Blues last month, and scored twice in last weekend's ​5-0 thrashing of Huddersfield Town. Sarri dubbed the player his 'footballing son', and praised his link-up play with Eden Hazard.